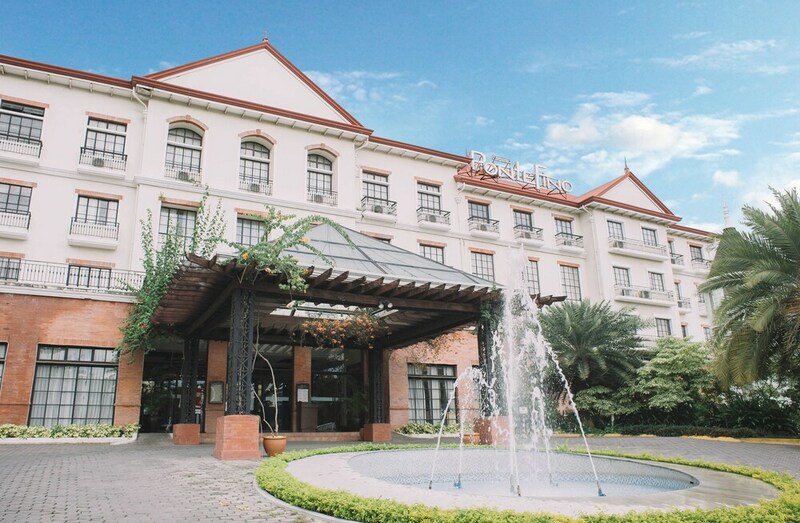 Located in the heart of Batangas City, this hotel is within 2 miles (3 km) of SM City Batangas, Basilica dela Immaculada Concepcion and Plaza Mabini Park. Laurel Park and University of Batangas are also within 2 miles (3 km). Along with a restaurant, this smoke-free hotel has an outdoor pool and a fitness centre. Free full breakfast, free WiFi in public areas and free self parking are also provided. Other amenities include a bar/lounge, coffee/tea in a common area and a business centre. All 60 rooms provide conveniences such as sitting areas and fridges, plus free wired Internet and flat-screen TVs with cable channels. Guests will also find wireless Internet access (surcharge), minibars and room service (during limited hours). In addition to an outdoor pool, PonteFino Hotels provides a fitness centre and a kid's pool. The hotel offers a restaurant. A bar/lounge is on site where guests can unwind with a drink. Guests can enjoy a complimentary breakfast. Wireless Internet access is complimentary. A business centre is on-site at this 4-star property. This business-friendly hotel also offers tour or ticket assistance, multilingual staff and gift shops/news stands. On-site self-parking is complimentary. PonteFino Hotels is a smoke-free property. PonteFino Hotels has a restaurant serving breakfast, lunch and dinner. Pastorelli – This restaurant serves breakfast, lunch and dinner.